Strawbale Cabin: A year in the cabin. Strawbale Cabin: Roof finished, ready to move in. Strawbale Cabin: Strawbale details, more plans and wall building plannings. Strawbale Cabin: Starting with the diary, documenting the first steps doing the insulated floor. Geodesic Dome Diary: After the storm of last night. Geodesic Dome Diary: 5m 2v icosa geodesic dome pitched incl. PE rain cover. Low Cost Dome (PVC): Calculator support for 3:3:2 and 4:4:3 as well aside of 3:x:2 and 4:x:3. Geodesic Dome Diary: First step of 2v icosa PVC dome, with simple stress test. Geodesic Dome Diary: Exploring 2v icosa PVC pipe based dome. Low Cost Dome (PVC): Improving the calculator and adding more details on hooks and captures of the hanging up the cover. Low Cost Dome (PVC): Included into the public web-site. Low Cost Dome (PVC): Update with photos of full size 5.1m diameter 4:x:3 dome skeleton. Low Cost Dome (PVC): First version of Low Cost Dome, documenting the building of a model. Helix Zome: Added photos of a PVC Zome. Geodesic Clay Mud Dome: Detailed description and photo series of the construction phase and interiors. Johnny's Capsule: Webified the flyer of "How to build a Capsule" by Johnny at Auroville. Yurt / Ger Diary: Last update, moved to France and describe with a bit longer entry. Dome: Included the polyhedral and curved helix zome, not yet in the typology included. Helix Zome: More description and illustrations, ready to be published. Zome: Rudimentary information, needs more math and background research. Helix Zome: First version with a brief description and mathematical description, and real life applications. Yurt Builder Conference: A few notes from the conference as held in May 8-10 2009. Yurt / Ger Diary: Photos from the take down, which I finally put up - with these the yurt diary also ends. Yurt / Ger Diary: Last days, concluding total wood usage for winter season 2007/2008, and larger skylights grids finished. Yurt / Ger Diary: Skylight grids further refined, with some photos. Yurt / Ger Diary: Various skylight supporting grids with willow bows made, with photos and an illustration. Geodesic Solitude: Feature about Greg and his wife living in two geodesic domes, incl. a couple of photos. Yurt Notes & Calculator: Cleaned up text and updated better photos illustrating how to erect a yurt, and added information about storm preparation. Yurt / Ger Diary: Milder days, storm aftermath with a few thoughts how to prepare for a storm. Yurt Notes & Calculator: Added a few thoughts on "crownless" yurt roof approach. Yurt: Added native yurt example from Afghanistan. Tipi: Added three ways to seal a tipi off rain through the pole junction opening: hood, drip strip and ozan. Home: Included two photos of a "Multi Yurt" cluster approach using no tunnels, and example of an attached room. Yurt / Ger Diary: Added PVC to seal brittle older PE wall cover - concluding longlivity of PE for yurt usage after apprx. 24 months. Yurt: Added examples of native yurt from Mongolia, Kyrgyzstan and Uzbekistan. Yurt / Ger Diary: December solstice, past days trying to dry the insulation which got wet before winter returned. Home: Various updates and changes through the entire site, new pulldown menus, bookmarking feature and so on. Home: Site officially activated and redirection from old site ("Housing, Dwellings & Shelters") enabled. Yurt / Ger Diary: Roof thermal insulation put up, roof extension over the door and also a door frame extension covering junctions. Yurt / Ger Diary: Replacing door without taking down the yurt, and putting up the thermal insulation of the wall. Home: Transfered all content from "Housing, Dwellings & Shelters" to SimplyDifferently.org. Yurt / Ger Diary: Cooler weather, higher temperature range in the yurt, attaching stove pipe again, and looking at compost as heat source. Triangulated Bow Dome: First version, with Bezier curve based model, three main types featured: 0/0 (hemisphere like), 25/0 (cross-tie bow dome like) and 45/0 (peak-tie bow dome like or "oriental"). Yurt / Ger Diary: Built a quick attached room with existing lattice-wall of 12m length. 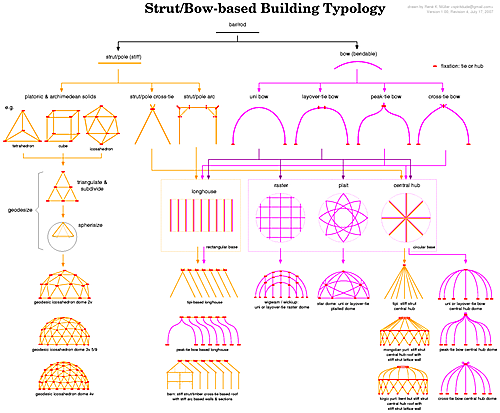 Dome: First version, included dome typology with a brief overview of dome variants. 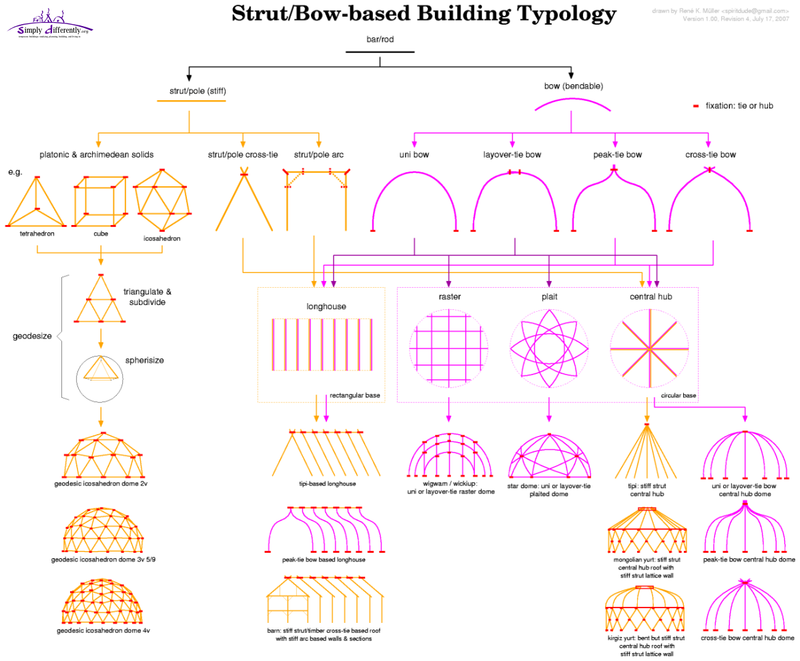 Bow Dome.dist: Cleaned up the article, and added "bow dome typology" to provide more systematic of variants, also enhanced the bow dome calculator. Home: Reorganized entire start page, contains indepth numerical comparision of volume vs surface, roof and floor, and extended "Consideration & Rating" by size flexibility rating. Yurt / Ger Diary: Kind of picked up the diary again, and updated it with various entry, weather diary, fixing small things on the yurt, meeting stone age enthusiast. Tipi: Put the "notes" back into the main tipi section, added one new sewing option, and added historic photos of tipi. Geodesic Polyhedra: Added Pentakis Dodecahedron, with its famous 8V version of Epcot's "Spaceship Earth" sphere. Geodesic Dome Notes & Calculator: Changed strut sorting from 1/1'000 to 1/10'000, which changed the amount of different strut lengths for higher subdivided domes; removed two cube-based domes from the overview, now 65 variants featured. Geodesic Dome Notes & Calculator: Included bending angle αlath for all struts and angles of face triangles for each version of dome. Home: Included Links here (last page), was formerly a separate section. Geodesic Dome Diary: Moved the dome on the existing floor and interior (where I had the yurt), preliminary setup with interior cotton and PE as rain cover (from the yurt-setup). Yurt / Ger Diary: Yurt is taken down, and on the existing floor the geodesic dome has been moved with a preliminary setup. Geodesic Dome Notes & Calculator: Added Octahedron L4 3/8, 5/8 dome and L3 7/16, 9/16 variants, as well Rhombicuboctahedron based domes (1V/L1, 2V/L2, and L3 at 3/8 & 5/8 height), total of 67 variants now featured. Polyhedra Notes: 7 origins of Waterman polyhedra (CCP) included (W1-100, plus a few more for origin 1, 2, 3, 3*, 4, 5, 6) and an interactive viewer for those. Home: Added information about snow slide on roofs of yurt and dome, and due the size of the homepage split it up into three pages. Polyhedra Notes: Added Waterman Polyhedra, a parametrical created polyhedra of a defined complexity, which is a nice feature. Geodesic Polyhedra: Added triacon variants and where suitable also the triacon dome variant as well. Home: Included a RSS feed you can subscribe (e.g. with Firefox it's built-in, just click on the orange RSS icon on the right in the URL bar). Geodesic Dome Notes & Calculator: Major rewrite of the entire notes, I cover following geodesic dome variants (57) of Icosahedron (1V to 8V and related), Octahedron (1V to 10V and related), Cuboctahedron (1V to 4V), Cube (1V to 8V and related), and finally Truncated Octahedron (1V to 4V and related) fow now. Be aware of new notion of strut types (A-F etc so are labeled new). Geodesic Polyhedra: Redefined and clarified L0, L1, L2 and so forth, and better explanation of Ln vs nV. Geodesic Dome Diary: Pitching the 6.33m 4V geodesic bamboo dome finally. Geodesic Dome Diary: Possible variant to 4V: L2 which is a geodesized L1 or 2V variant, less strut length variance - this discovery comes from working on Geodesic Polyhedra. Geodesic Polyhedra: More details for each variant, incl. calculator for dome options. Geodesic Polyhedra: Included dome variants when suitable, including strut maps. Geodesic Polyhedra: First version with overview of platonic & archimedean geodesic forms, for now only L1 and L2 as I call them. Polyhedra Notes: Added Johnson Solid, names & models rendered, listing vertices, edges & faces for now only (no calculators). Polyhedra Notes: Compiled information for Platonic and Archimedean Solids (subset of Uniform Polyhedra) from various sources and additionally listed V, A, and rinner and router with a calculator for each platonic & archimedean solid. Geodesic Dome Diary: Including also activities from 2005 when I built 2V, 3V and 4V model, for sake of completeness - as information is already available in the Geodesic Dome Notes. Geodesic Dome Notes & Calculator: Minor update on Icosahedron, and 2nd level floor options included. Geodesic Dome Diary: Starting the diary with planning. Yurt: Added a dedicated page of Chris Aeppli I just visited incl. a small interview, and added links of others e.g. Claudius Kern and Yurt Village (Switzerland). Yurt / Ger Diary: Visiting Chris Aeppli and his 7.5m yurt and new photos of the interior. Yurt / Ger Diary: Skeleton of travel yurt finished, first erection. Yurt Notes & Calculator: Update on Standard vs Non-Standard Yurts (How to derive a standard), and various minor updates like on stove / pipe options. Yurt / Ger Diary: Finishing thermal insulation setup, new PE rain cover - ready for winter 2006/2007. Yurt / Ger Diary: Further updates on progress thermal insulation with straw filled jute blankets. 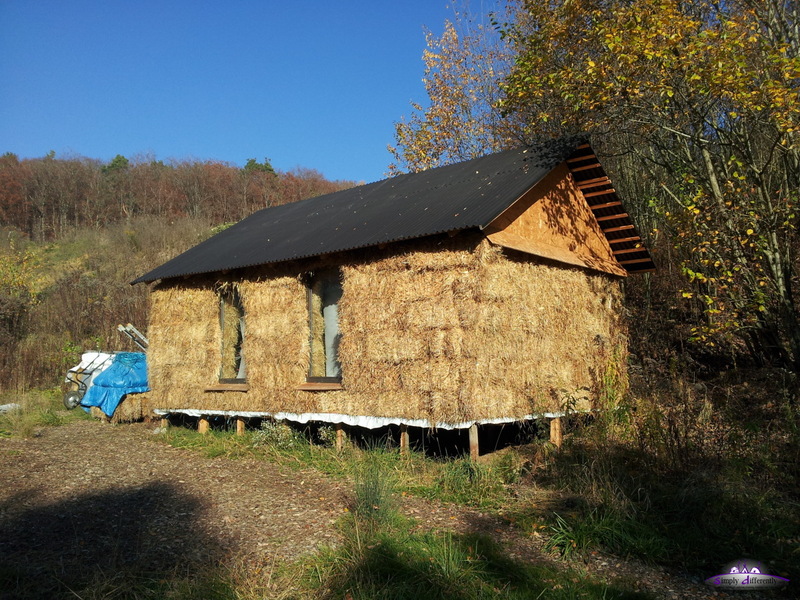 Yurt Notes & Calculator: Updated infos on thermal insulation with straw filled jute blankets. Yurt Notes & Calculator: More infos and calculator assistance for pieslice-wise roof canvas. Yurt / Ger Diary: More updates on progress of new place and its setup. Yurt Notes & Calculator: Added more detailed information about "attached room" option and calculator. Yurt / Ger Diary: After couple of weeks I updated the diary with new entries (Fall Approaching, New Place Found, Preparing Moving etc). 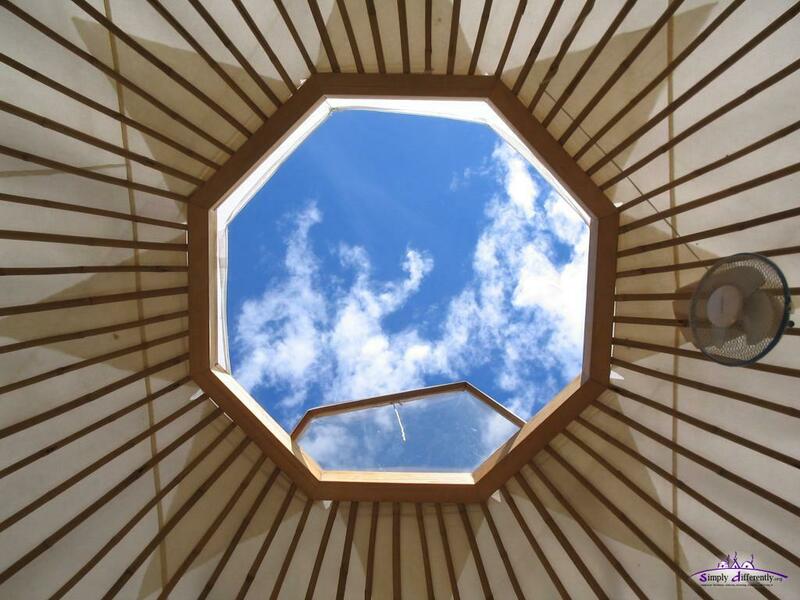 Yurt Notes & Calculator: Added overview how to erect a yurt with photos. Yurt / Ger Diary: Visited Claudius Kern, a few photos of his two level yurt. Yurt Notes & Calculator: More details on options to bind the lattice wall / khana. Star Dome Diary: Included also a small calculator to get an idea of the bending of the bow segments. Star Dome Diary: Updates on synthetics material for the bows, also tests with bamboo and calculations. Yurt Notes & Calculator: More details on wall / khana section junction methods, even and odd amount of junctions/poles, half and full twin junctions. Home: Included information about clustering, and extended thoughts on site characteristics. Yurt Notes & Calculator: More detailed instruction how to make a door based on vertical laths. Yurt / Ger Diary: More photos of door construction (vertical laths based). Star Dome Diary: More details on the leaf-cover, and pipe junctions, and how bows (pipes) connect to the base. Star Dome Diary: First version. Yurt / Ger Diary: Photos of two wheels / toonos I'm working on (not yet finished), and a couple of wonderful fotos of a sunset of the last day of May 2006. Home: Added some information on how to select a site and preparation. Miscellaneous Domes: Included the crownless bow dome model, and renamed it from Misc to Misc Domes. Miscellaneous Domes: Included various dome models works - and separated Material Notes from it. Star Dome: Extensions such as skylight, door construction and alternative bows, and photos of a model construction. Yurt Notes & Calculator: Update on thermal insulation. 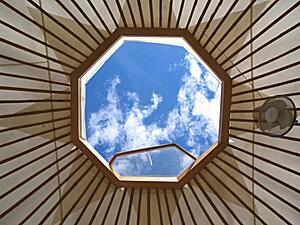 Yurt / Ger Diary: Updated diary with few photos of repairing skylight (dried tape replaced). Star Dome: Added general calculator (simple one), plus canvas calculator, along with more detailed illustrations. Bow Dome.dist: Added more full length bows (reaching entire half sphere) models in Misc Domes. Miscellaneous Domes: First version, linked Material Notes, and added links to Monolithic Domes, and Solid Yurts. Star Dome: First version, first calculator, and simple construction plan. Geodesic Dome: Added some thoughts on pro and contra geodesic dome. Yurt / Ger Diary: Interior photos and a video-clip added. Geodesic Dome Notes & Calculator: Added 4/8 sphere cover calculator taken from Wigwam-section, and photos of the. Bow Dome.dist: Lot's of improvements, bow calculator using bezier curves, canvas caculator, and notes. Yurt Notes & Calculator: Added more pictures of wall composition, and inserted a page break, now 5 pages totally. Wigwam: Added half-sphere formulas an its symbols. Wigwam: Added half-sphere roof canvas calculator, provides shape and canvas lane measurements. Wigwam: First version, with wigwam calculator to calculate bows with a given nbows and diameter. Yurt Notes & Calculator: Minor refinements and additions. Bow Dome.dist: First version with a couple of bow dome types. Yurt / Ger Diary: Added more pictures, added more insulation layers. Yurt Notes & Calculator: Added toono/wheel interactive sketch. Yurt Notes & Calculator: Added photos of toono cover construction. Yurt / Ger Diary: More photos, first real snow, roof cover construction photos added as well. Yurt Notes & Calculator: Added more information on Insulation and Stove Pipe positioning with photos how I did it. Yurt / Ger Diary: Updated the last days with photos, yurt erected with raincover and thermal insulation, preparing the interior. Yurt Notes & Calculator: Floor calculator rearranged and floor rendering. Yurt Notes & Calculator: Improved yurt rendering. Yurt / Ger Diary: Added photos to the last days entries, toono, roof cover, and door construction. Yurt / Ger Diary: Rain cover done, toono cover finished with clear PVC, and sew main cotton roof canvas, and attached cords on wall canvas to bind them. Yurt / Ger Diary: Premiere yurt put up, without cover as of now. Yurt / Ger Diary: Making of crown-wheel (toono) and its cover. Yurt Notes & Calculator: More on floor building. Yurt Notes & Calculator: Floor calculator, and more info on building the floor. Yurt Notes & Calculator: Canvas calculation fixed. Yurt Notes & Calculator: More details on toono cover using clear PVC. Yurt Notes & Calculator: Details on door construction (example). Yurt Notes & Calculator: Added more details on khana, especially the termination of the khana-section. Yurt Notes & Calculator: Corrected n-polygon toono calculator for l0..2. Yurt Notes & Calculator: More information on the khana and details on the door. Yurt / Ger Diary: Making of the khana. Yurt Notes & Calculator: Corrected npoles, now assume 6cm for top and bottom extra by default. Yurt Notes & Calculator: Added small toono n-segment calculator. Yurt / Ger Diary: Starting the yurt diary. 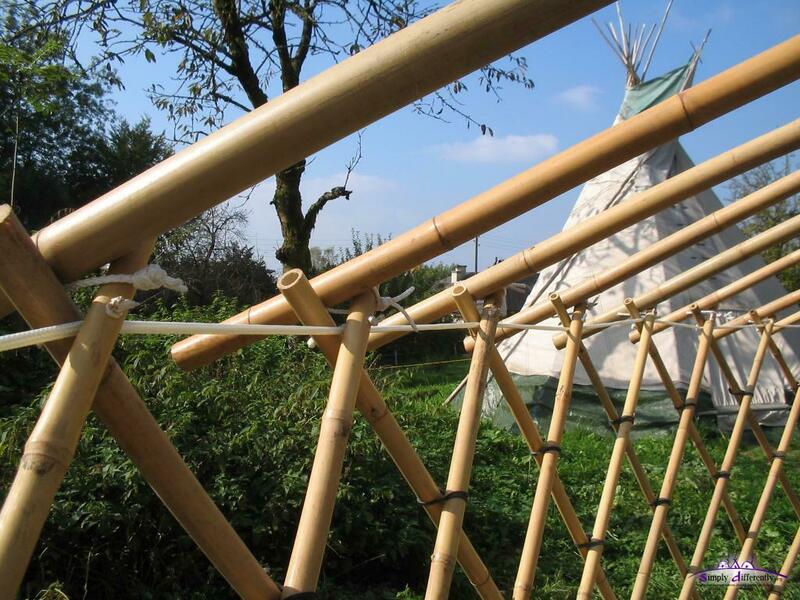 Tipi: Updated infos on Extension: Upgrading Size. Yurt Notes & Calculator: Added more detailed wall canvas calculation (hint if multiple lanes are required). Geodesic Dome Notes & Calculator: More photos of the 4V model. Tipi: Took my notes out of the page and separated it into the Tipi Notes. Tipi: Separated the notes from the main tipi page. Tipi: Added information about tipi extensions. Geodesic Dome Notes & Calculator: Added 4V Model photos. Tipi Diary: Included the tipi upgrade with photos. Tipi: Added tipi sketch with human height comparison (alike yurt and dome calculators). Geodesic Dome Notes & Calculator: On the fly rendering of dome sketch (incl. human height comparison). Geodesic Dome Notes & Calculator: Added cover Acover information. Geodesic Dome Notes & Calculator: Added 4V 4/8 Dome information. Geodesic Dome Notes & Calculator: Added more infos on Real Life Application. Yurt: More introduction infos, link sorting. Yurt Notes & Calculator: Minor updates on roof canvas, added illustration. Geodesic Dome Notes & Calculator: Real Life Application notes added, about cover and such. Yurt Notes & Calculator: Roof lanes calculation added (to patch one big canvas). Yurt Notes & Calculator: Toono (crown wheel) construction added, and Î±khana flexible (usually 90 °). Geodesic Dome: First version with links, and separated infos to Geodesic Dome Notes. Yurt Notes & Calculator: more detailed illustrations, more description in results. Yurt Notes & Calculator: nlaths corrected. Yurt Notes & Calculator: First public release, yurt interested people informed. I'm interested to rediscover and preserve some of the ancient knowledge on temporary buildings, such as tipi, yurt (ger) and domes and recently also strawbale cabins, essentially about alternative living. Aside of the tipi and yurt I explored and researched also on other nomadic shelters forms and built models and implemented mathematical solutions as online calculator (using just your browser) to calculate e.g. surface of half-sphere, bow-based domes, struts calculation of the geodesic dome, and worked further on the detailed calculator for the yurt and its components - you find these in the "notes", e.g. to mentioned the most comprehensive ones among other notes, and also theoretical overviews like the Polyhedra Notes and Geodesic Polyhedra where their geodesic derivates are explored - that's all and more on this site now. Temporary housing or shelters have been the base for ancient nomadic cultures - these days a renaisance is occuring with the current lifestyle and growing desire to go back to nature and live more closely to it. So many ancient native shelters experience a renewal and rediscovery, but also relatively new developments such as geodesic domes or general dome for energy efficiency have been invented. I thought it would be interesting to compare the different featured types of temporary buildings I covered so far. With simplicity I mean the construction, the geometry, the way the overall static is achieved. Tipi: It's certainly very simplistic, with just poles constructing the main static, and a large one-piece canvas as cover, not counting the inlining. Yurt: The construction geometry isn't that simple, the lattice wall defines angle of the main roof poles from the crown-wheel. The main rope at the top of the lattice wall provides the main static keeping the roof poles pushing the crown wheel and keeps the diameter of the yurt unchanged. Wigwam: With its different diameter of poles it's a rather simple construction. The junctions of different poles requires some detail work, the canvas can be put under or over the pole skeleton. Bow Dome: Very simple, all bows have the same length and the same bending, only the crown-wheel where all bows are fixated requires great care to provide the required static, or a crownless version is used where the bows themselves are tied to build a crown. Geodesic Dome: Not simple at all, it requires exact measurements, many junctions, and many seams, challenging; one can decide the amount of subdivisions, e.g. 2V (4/8 sphere), 3V (3/8 or 5/8 sphere) or 4V (4/8 sphere) implies different amount of struts. Special consideration for the entry, where the door is located without sacrificing the overall static. Star Dome: It was inspired by the 2V geodesic dome, but it's much simpler, one length of bow (1/2 of circumference or 1/4 of it), it doesn't look that filigree as other structures, but it's easy to setup, and when thick bamboo (10cm diameter) is available, then it's a very simple and easy to do structure; otherwise material with steady bending is required (e.g. willow sticks moderately suitable). Tipi: The size of a tipi may reach 9m or 10m max, otherwise it becomes almost impossible to erect the tipi without some machinery. The fact lies in the way the tipi is erected, all poles are put up, first starting with the tripod, the final pole comes with the canvas - and this canvas with large tipis becomes very heavy. Yurt: The max size of a yurt lies maybe at 15m or so, the roof poles otherwise become too heavy to stretch longer than 6m or 7m, and maybe bamboo in this is recommended as they are very light and strong nevertheless. In applications where the bamboo is exposed to the sun, the bamboo needs to be treated with white finish so it doesn't heat so much up, and when cooling off later reduce the risk of splitting. Wigwam: A traditional wigwam with bow is maybe also at 8m in diameter, which requires the longest bow be 12m, which can be achieved with tying multiple bows together, but even bending is hard to achieve then. Bow Dome: Alike consideration like of the wigwam, yet, the bow length in a central hub based dome is half, so larger domes can be done. Especially when the bows are made from solid/non-bending wood and has a static bending radius, max diameter 15m resulting of bows of 11m length, but then I wouldn't recommend full height of 7.5m, but have a lower roof. Geodesic Dome: The geodesic dome with its approach to fine grain as required so best in this regards, almost any size can be built. Yet, the temporary aspect of the building reaches its limit with more than 300 or 400 pieces to erect, so maybe 12m diameter might be a realistic boundary for a temporary geodesic dome. Star Dome: The star dome has a limited fine grain grid by its definition, so the max diameter may lie at 7m or 8m. Larger structures may be not suitable to cover with canvas without additional structure. Portability is ability to erect and take down the construction quickly, usually within a day and with little manpower (1-2 person max), and then transport the parts of the building. Tipi: Very portable, except for larger tipi the poles get very long, and portability becomes challenging. Yurt: Very portable, the lattice wall is reduced to 1/50 part of its extended length (e.g. 10m -> 0.20m); plus the roof poles. When using bamboo for the lattice wall and roof poles it's also very light in weight. Wigwam: Very portable too, just poles, for larger wigwams they can get quite long, but like modern tents the poles can be chopped into pieces. Wigwams built with natural materials like tree branches, are not transported but built new at new locations. Bow Dome: Portable, the bows can be long for large bow domes, and can't be chopped into pieces easily unless you use fiberglas or they are made out of segments e.g. out of wood. Geodesic Dome: Very portable, yet quite an overhead to erect and take-down as it requires an exact erection procedure (preparing all its segments/struts); and depending how the layers (raincover, thermal insulation, interior) are made, either aligned to the polyhedral skeleton (e.g. using elements) or simply half-sphere like flexible or bendable layers also determines the overhead of the portability. Star Dome: Very portable, especially when 1/4th circumference long bows are used, then two at a time need to be tied together as one long bow. With a cord and 15 or 30 bows (+2 bows for the base) you get a star dome. Living comfort in regards as some forms are more suitable to be extended to true living space where you can sleep, work and cook; and the ability to insulate sufficiently for winter time. Tipi: Moderately, the poles at the top junction leave a little hole, at heavy rain water runs along the poles into the tipi, unless you entirely cover the pole junction you have water reaching the inside of the tipi. Not suitable for winter, as the tipi is not suitable for insulation; when tipi were used during the winter by natives, they used fur to insulate the tipi. Yurt: Highest rating, very comfortable, with a solid floor it becomes a real living space, if it's 100% insulated against rain (when using a 100% water resistant cover, not the traditionally used felt which is insufficient for rainy areas like european climate). With felt or other thermal insulator becomes suitable also for winter time. Wigwam: Modern approach can be very comfortable (then actually is just a variant of a bow dome), natural built with tree branches and leaves is just too temporary lasting for a couple of weeks. Geodesic Dome: Great comfort, once rain/water insulation is resolved, and thermal insulation done, yet it almost doesn't qualify as temporary building anymore if all layers are aligned with the primary shape of the skeleton; or one uses simply a half-sphere cover (rain cover, thermal insulation, interior). This rating is subject of change as with development and more indepth experiences other insights and therefore ratings will follow. That's it for now, best explore the different types of temporary building by clicking on their links above.